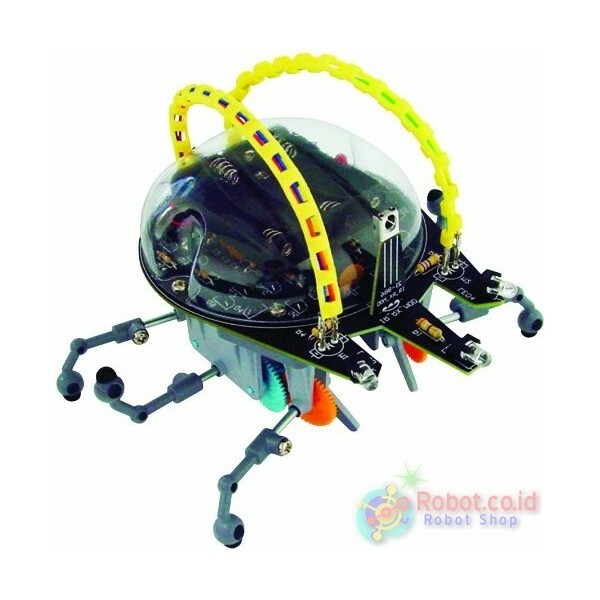 "Hari minggu 12/01/14 mampir ke robot shop, orangnya..."
Build your own A.I. Robot. Escape Robot introduces budding engineers and scientists to the world of A.I. (artificial intelligence) and robotics. 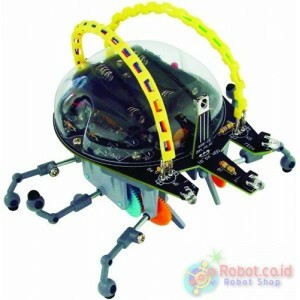 Using a microprocessor and three infrared emitting and one infrared receiving module, Escape Robot "thinks" on its own. It processes information about its environment and maneuvers itself around obstacles. Two sets of different legs allow for different types of movement. Soldering is required. Soldering iron and solder, not included.